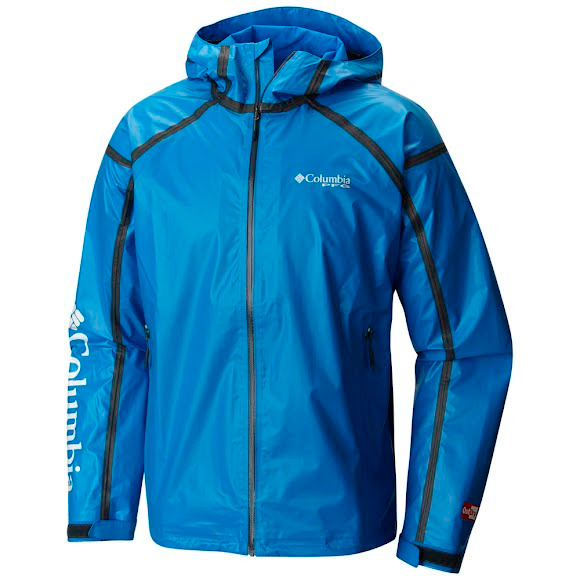 During stormy days on the water, you'll be ready with Columbia's waterproof, breathable, fully seam-sealed jacket. It features an adjustable storm hood, underarm venting, dropped tail, sleek Light Rail™ zippers on the pockets, and adjustable sleeves. During stormy days on the water, you&apos;ll be ready with Columbia &apos;s waterproof, breathable, fully seam-sealed jacket. It features an adjustable storm hood, underarm venting, dropped tail, sleek Light Rail™ zippers on the pockets, and adjustable sleeves. Technical features and superior function are the foundation for Performance Fishing Gear. From the eye of the storm to the midday heat, Columbia&apos;s got you covered. PFG helps you enjoy the elements so you can stay out longer.